Located in Tbilisi City, Apartment Tsabadze 3 is a self-catering accommodations and is 1.4 mi from Tbilisi Opera and Ballet Theater. Rustaveli Theater is 1.4 mi from the property. Free WiFi is provided throughout. The pet-friendly accommodations is air conditioned and comes with a cable flat-screen TV. All units include a fully-equipped kitchen fitted with a toaster and fridge. A stovetop and kettle are also offered. Bathrooms come with slippers and toiletries. Davit Aghmashenebeli Avenue is 1,000 feet away. Freedom Square is 2.4 mi from Apartment Tsabadze 3. The nearest airport is Tbilisi International Airport, 12 mi from the property. When would you like to stay at Apartment Tsabadze 3? 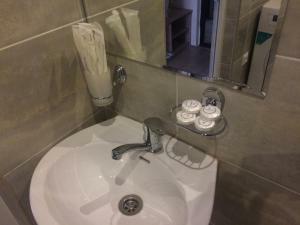 Apart Hotel is a self-catering acommodation located in the Heart of Tbilisi city. Free WIFI is provided throughout the property. The great view of Tbilisi, Air conditioning, TV with cable channels, full kitchen with a refrigerator and electric Kettle. The private bathroom comes with slippers and toiletries. 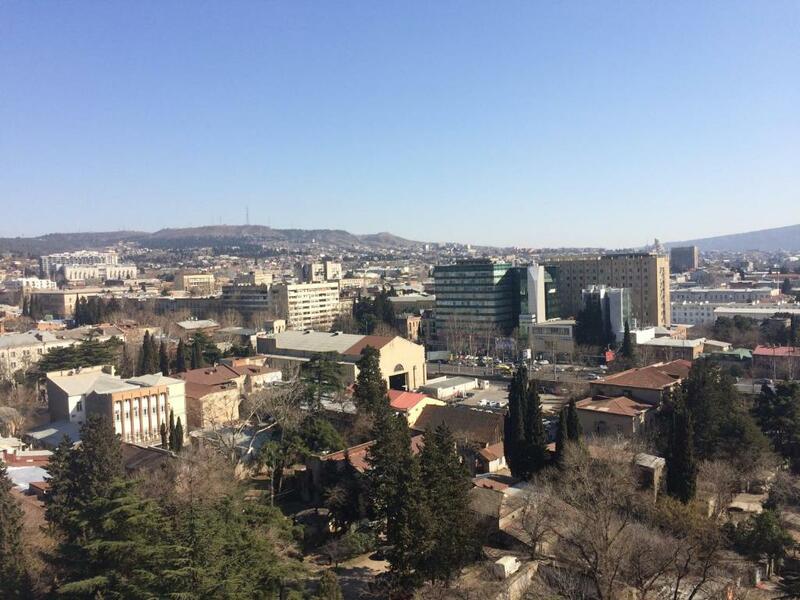 Davit Aghmashenebeli Avenue is 200 metres away, and Mushtaidi park is near the Apartment. House Rules Apartment Tsabadze 3 takes special requests – add in the next step! Apartment Tsabadze 3 accepts these cards and reserves the right to temporarily hold an amount prior to arrival. Please inform Apartment Tsabadze 3 of your expected arrival time in advance. You can use the Special Requests box when booking, or contact the property directly using the contact details in your confirmation. We need at least 5 reviews before we can calculate a review score. If you book and review your stay, you can help Apartment Tsabadze 3 meet this goal.